College was supposed to be an escape for Emily Skinner. But after failing out of school, she's left with no choice but to return to her small Arkansas hometown, a place run on gossip and good Christian values. She's not alone. Emily's former best friend—and childhood crush—Jody Monroe is back with a baby. Emily can't resist the opportunity to reconnect, despite the uncomfortable way things ended between them and her mom's disapproval of their friendship. When Emily stumbles upon a meth lab on Jody's property, she realizes just how far they’ve both fallen. Emily intends to keep her distance from Jody, but when she's kicked out of her house with no money and nowhere to go, a paying job as Jody's live-in babysitter is hard to pass up. As they grow closer, Emily glimpses a future for the first time since coming home. She dismisses her worries; after all, Jody is a single mom. The meth lab is a means to an end. And besides, for Emily, Jody is the real drug. But when Jody's business partner goes missing, and the lies begin to pile up, Emily will learn just how far Jody is willing to go to save her own skin—and how much Emily herself has risked for the love of someone who may never truly love her back. 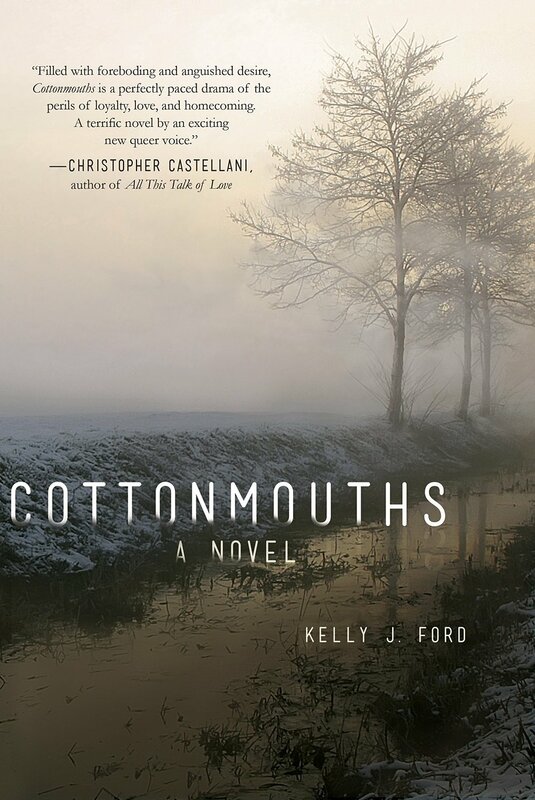 Echoing the work of authors like Daniel Woodrell and Sarah Waters, Cottonmouths is an unflinching story about the ways in which the past pulls us back . . . despite our best efforts to leave it behind.